Delivering efficacious and inexpensive health interventions leads to dramatic reductions in mortality and disability at modest cost. Globalization has been diffusing the knowledge about what these interventions are and how to deliver them. The pace of this diffusion into a country–more than its level of income–determines the tempo of health improvement in that country. Current resources can yield substantial health gains if knowledge of cost-effective interventions were applied more fully. 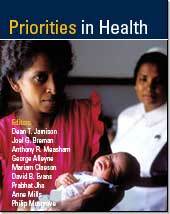 Additional resources are needed in low-income countries to minimize the glaring inequities in health care. Increased resources would provide highly-effective interventions, expand research, and extend basic health coverage to more people.